Smiling after my crash. And WTH is up with my helmet? I participated in my first Century at the Tour de Palm Springs. I was supposed to do a half marathon the next day but decided to bow out since I was having IT band issues and it was a good thing because I crashed at the very end of the century. January was a great month for me and I had some really high hopes for February. They were all dashed when three things happened. One I found a lump in my chest that required surgery (don’t worry it was nothing serious); two I started having IT band issues; and three I crashed my bike. So as you can see I wasn’t too excited to write up my February summary which is why I am finally getting to it! 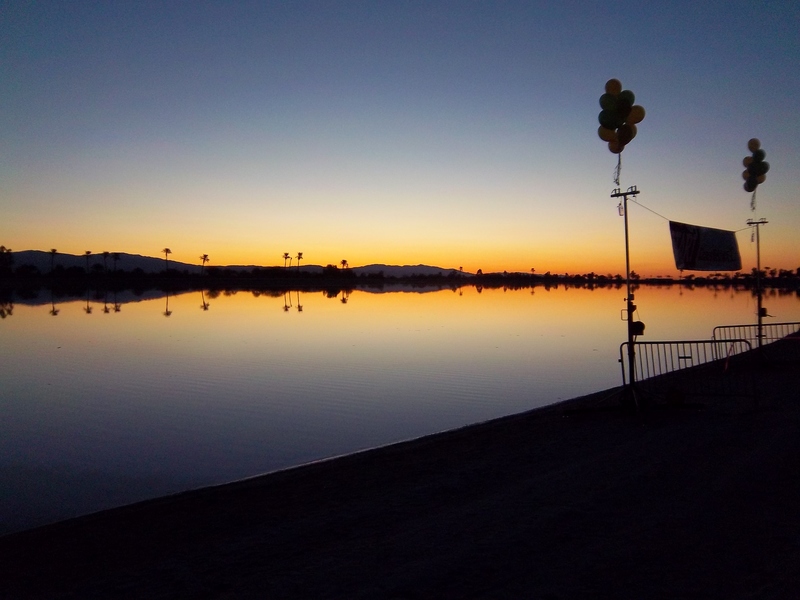 Did my first triathlon of the year; the Desert International Distance Triathlon. I had raced this race last year and really hoped to improve my time but with all the stuff that happened in March I was about 10 minutes slower. I was still recovering from my craptastic February! But luckily by the end of the month I had finally found a Physical Therapist who really helped me start to recover from ALL my injuries. The IT band got a little better and I did all I could to start ramping up my running again. Notable workout was a self supported century I did on my Birthday! I did all I could this month. Weather and life just got in the way. Work on my run; not much time until I need to run a marathon! Remain calm…stressing out over the race will not help me train!